Tough. Durable. These are the words ASUS most often associate with the signature SABERTOOTH series. The line has grown out of the TUF series to have a distinct branding all its own, and is now one of the most recognisable designs in a market where finding your own niche is often a monumental struggle. It's no wonder that when a new chipset is released one of the questions most widely asked by enthusiasts is "where is the new SABERTOOTH?". So it has been with Intel's Z170-chipset for Skylake CPUs, and finally ASUS has delivered in the form of the SABERTOOTH Z170 MARK 1. The timing of the release was obviously designed to coincide with the initial Skylake launch window of September, rather than the accelerated launch date that transpired, but that shouldn't take away from how significant the release should be. 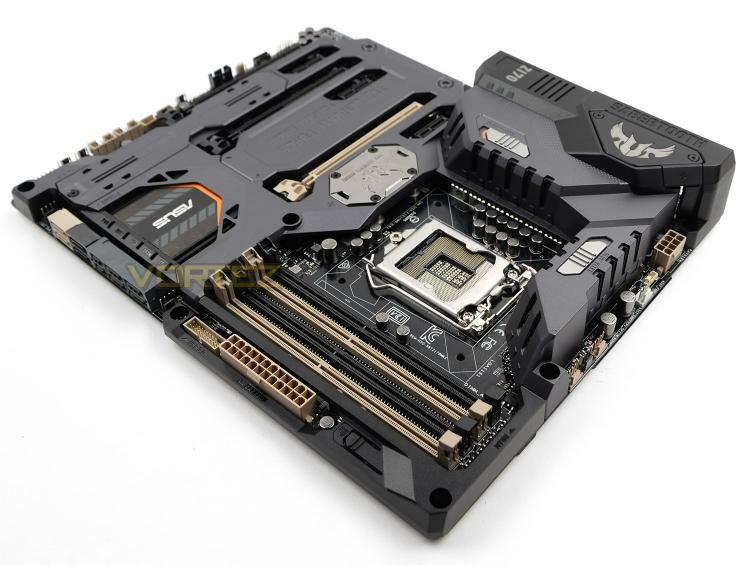 SABERTOOTH designs are eye-catching, feature advanced cooling, and in no way compromise the toolset that any user would be pleased to see on their performance-orientated Z170 system; the question is whether the motherboard excels in the same way it does aesthetically. A mark of new era. With the next era of technological progress, we challenged ourselves to evolve into bringing a completely new design language to TUF line of motherboards. By harnessing our best technology paramount design credentials, SABERTOOTH Z170 MARK 1 envisions futuristic fighting forces, with sleek, stealthy Thermal Armor reimagined in black and metal greyto make a powerful statement of both high style and extreme strength.